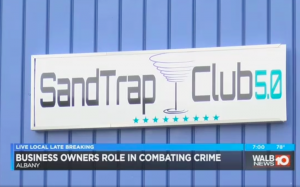 Gunfire erupted following a reported altercation inside The SandTrap 5.0 nightclub Sunday morning, October 22, 2017, claiming the life of 25-year-old Travion Jones. WALB 10 reports, “APD detectives believe an altercation began inside the club…and then spilled over into the parking lot where the shooting took place.” Tragically, Mr. Jones succumbed to fatal injuries. The tragedy comes amid a reported recent rise in local gun violence. City Commissioner B.J. Fletcher told Telemundo, “much of the responsibility to defuse a potentially violent situation lies with the business owner.” Ms. Fletcher urges business owners to keep properties “well lit, with plenty of security cameras and systems installed” and to call 911 at the very start of an altercation they can’t handle.